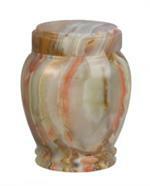 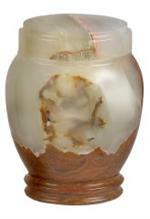 The natural properties of marble create unique patterns and colors in this beautiful urn. 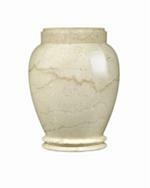 Comes in your choice of light or medium green onyx. light or medium version of the green onyx.